Laura Numeroff’s If You Take a Mouse to the Movies is one of my favorite holiday books. A few years ago I read this book to one of my early childhood classes. There were eight students in the classroom and I found the books at one of the Scholastic Book Clubs* for $1 each. I splurged and bought a book for each student. We used this book in speech – language group for three weeks. I met with the class for 30 minutes twice weekly. At the beginning of each lesson, I read the book or did a picture walk and talked about the story. A little time for print awareness vocabulary was built into this activity. Title, author, illustrator, cover, page, and word were discussed. Including pictures of Laura Numeroff and the illustrator, Felicia Bond, really helped the students understand these concepts. Following the book reading or picture walk, each student was given a few minutes to explore the book. This was my favorite part of the lesson and a great way to gather some data as many of the students “read” the books aloud. For my very young students or for students who had difficulty turning the pages, I took the book apart, laminated it, put it back together and added page turners when necessary. For some students, I attached a picture of the mouse or other item to each page with Velcro allowing the students to focus on vocabulary. Labeling objects and actions - click above to download object and action pictures from BoardmakerShare. Telling the function of an object when asked, "What do you do with ______?" (popcorn, a snowball, a couch, a radio, ornaments, a blanket, etc.). Use the Boardmaker object pictures above or use the adjacent PowerPoint with graphics from PatrickEcker.org. Why questions – It's easy to read this book and ask why questions. In my next post I will include some why question activities. Verbalize prepositions on and around – Put ornaments on a tree and put a popcorn string around a tree. Note that it is easier to string popcorn on floral wire than string. Throw big and/or little snowballs (pom-poms or Styrofoam balls) over the snow fort. Stand behind, in back of or in front of the snow fort. Our snow fort was a small table covered with a white sheet. Retell the story or sequence story pictures. Practice multisyllabic words. Many of my young students had difficulty producing words with more than one syllable. So, at the beginning of every month, two and three syllable words that corresponded with the theme or literature selection were introduced and practiced regularly. Multisyllabic words introduced with this unit were movies, popcorn, Christmas tree, carrot, snowman, snowball, blanket, radio, ornaments, paper and glitter. 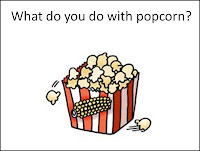 Click here to download my popcorn themed multisyllabic word activity at BoardmakerShare. There are twenty-seven activities for this book at Teachers PayTeachers. Prices range from Free to $20. 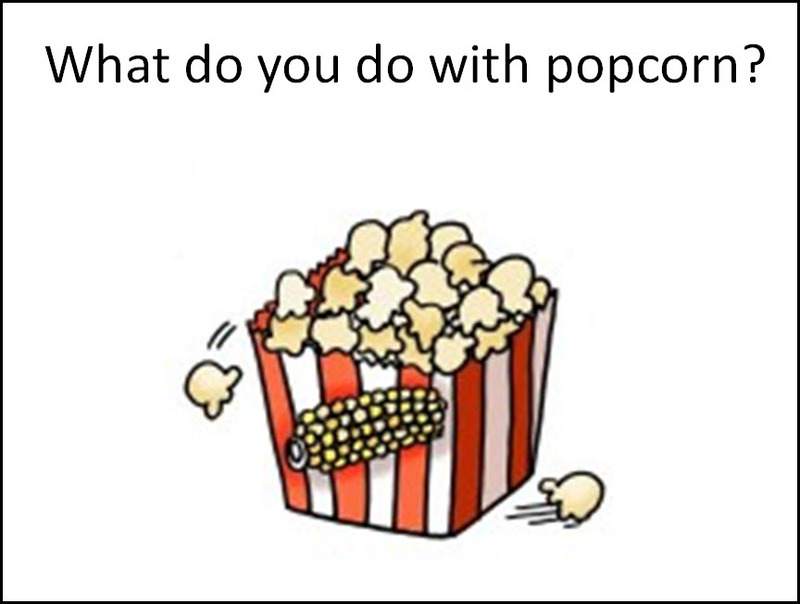 Play Beginning Sounds Popcorn Game or use the If You Take a Mouse to the Movies Comprehension Activity found at BoardmakerShare.com. Find a word sort, a cause and effect activity, and a snowman sequence at Today inFirst Grade. At Mrs. Cowan.com download sequence cards, an interview with a mouse, a question and answer activity, a rhyming activity, and many other suggestions and resources. At Pitner’s Potpourri download a sequencing activity and a cause and effect matching activity. *The Scholastic Book Clubs have books for $1 or $2 each month. I often purchased books for my students. I received a few grants that allowed me to buy many books for students. Other times, I used money from the PTA, school funds, or as we all do . . . . . used my own resources. 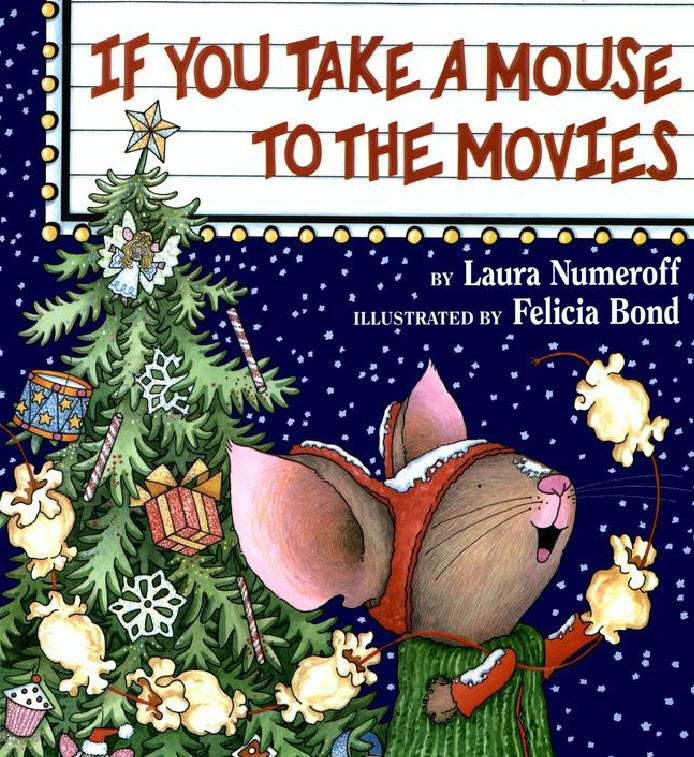 Next Post – Taking the Mouse to the Movies: Why Questions, Pronouns, and More!